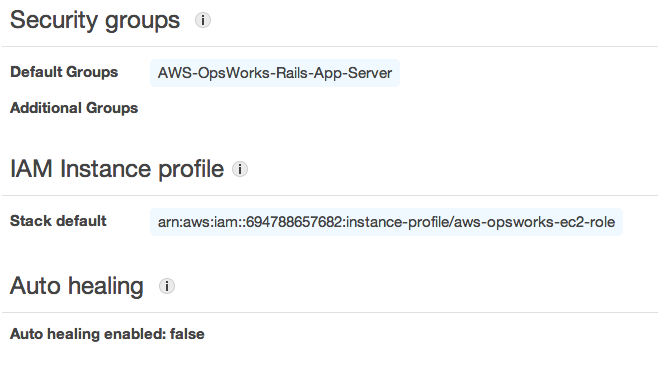 I thought I'd have a play with AWS's latest offering "OpsWorks", and see if they've done us all out of a job. Well, kinda. OpsWorks is interesting. 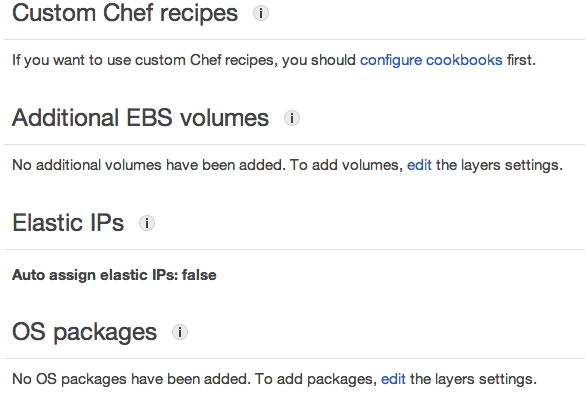 It's basically hosted chef, with EC2 integration. The immediate "drawbacks" to some are that there's only two supported distributions, Ubuntu 12.04 LTS and Amazon Linux. It's also incredibly rough around the edges. It's easy to sign up to, and it adds a service to the AWS management console. 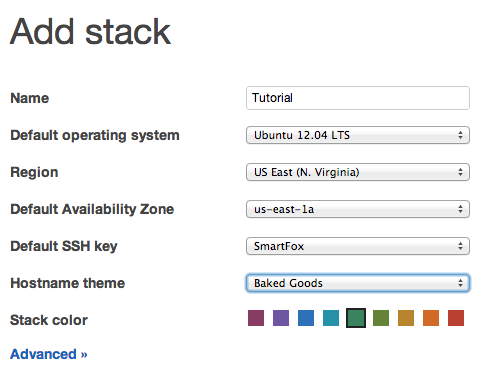 The first thing to do is to add a Stack. A stack is formed of Layers, which represent services. Next step is to configure and Instance of your layers. Most irritatingly, there's no option to use Micro instances for your instances. Which kinda defeats the ability to use OpsWorks within the free tier usage package. Which confused me for a while, because if you try and boot it now, you get stuck in a boot-loop, it'll boot, launch and terminate ad infinitum. That's because that grey bar thing is clickable so you can set the times you want it to be available. 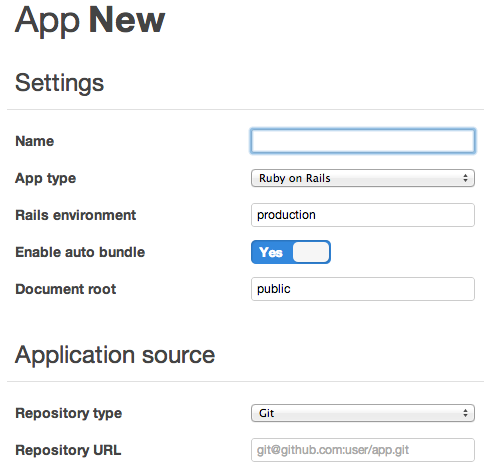 I created a new git repository to use, and ran `rails new shortbread-beastie` in there. There's a few different Deployment options, Git, SVN, S3 bundle and HTTP bundle, and "Other" - I have no idea what Other does, or is used for, unless there's an option to specify your deploy script somewhere. Back to the Instances view, and this is quite shiny. This is, however where the problems start. To deploy, you need a running instance. So, I set some time for the instance availability, and hit launch. Then it failed. So I terminated it, but it didn't die. It just booted another one. Most irritating. I can't terminate it, because it goes "boot, stop, terminate" - and then repeats itself. I can delete the app, but can I delete the instance? Apparently not, because it's not stopped. It's forever booting. Can I delete the Layer? Nope. I also can't delete the stack. You can also configure it to add other OS packages, mount EBS volumes and so on. And set the Security Groups if different from the original defaults. I had planned to have another go from scratch as soon as the AWS team cleared the broken instance out. After I'd noticed they'd wiped out the instances from my OpsWorks account. I wasn't entirely sure what'd caused the first one to break in such a catastrophic fashion, but I just built another one from defaults. This is how that unfolded. The setup process took about 10 minutes, before failing, albeit slightly less catastrophicaly than last time. However! After I ssh'd in, I had a look in the usual places for something log-worthy. [Tue, 19 Feb 2013 16:09:09 +0000] DEBUG: STDERR: Warning: Permanently added 'github.com,207.97.227.239' (RSA) to the list of known hosts. STDOUT: Cloning into /srv/www/shortbread_beastie/shared/cached-copy...STDERR: Warning: Permanently added 'github.com,207.97.227.239' (RSA) to the list of known hosts. which was completed sucessfully, not prevent this from happening? So, I changed the app git repository from a [email protected] SSH style one to a git://github.com/tomoconnor/shortbread-beastie.git, which shouldn't need to add a SSH key to the known_hosts file. In 10 - 15 minutes, it should have re-run setup, and all that, and we should have either a working instance, or another failure. 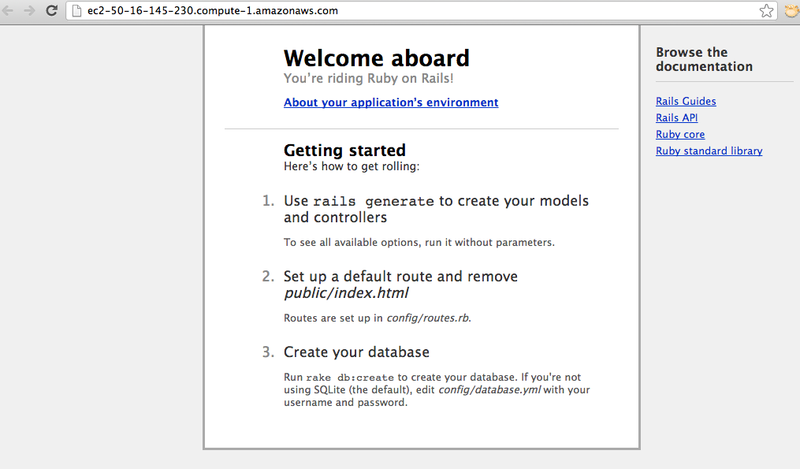 Here's a screengrab of it running in chrome live on the EC2 cloud. I actually killed it off a few minutes ago, as it's costing me money. Looks so far like the big bugs concern the SSH Host Key acceptance thing that I found, and the fact that if you disturb the running EC2 instances from the EC2 control panel (which I accidentally did), then the OpsWorks side loses touch with the EC2 side, and the whole thing goes into that boot-stop-terminate-boot loop.